Static and dynamic balance testing and training -- for athletes to older adults. Multiple Applications and Pathologies with a Single Investment. 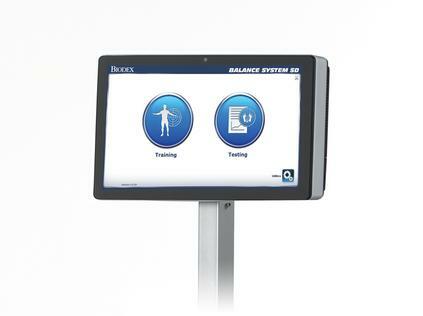 The Biodex Balance System SD has been designed to meet the needs of everyone looking to improve balance, increase agility, develop muscle tone and treat a wide variety of pathologies. Featuring easy-to-follow “touchscreen” operation, the Balance System SD is simple to learn and operate, leading the user step-by-step through testing protocols and training modes in both static and dynamic formats. Extremely versatile, it is the only system that provides a fast, accurate Fall Risk Screening and Conditioning Program for older adults; closed-chain, weight-bearing assessment and training for lower extremity patients, and adds the objective balance assessment component to a concussion management program. The Balance System SD also serves as a valuable training device to enhance kinesthetic abilities that may provide some degree of compensation for impaired proprioceptive reflex mechanisms following injury. Using this unique device, clinicians can assess neuromuscular control by quantifying the ability to maintain dynamic bilateral and unilateral postural stability on a static or unstable surface. Hospitals need to ensure that patients discharged from their care will be managed efficiently and effectively so as to minimize the potential for readmission. Facilities will be expected to demonstrate to hospitals that they are equipped and skilled to be a partner in an ACO and receive the referrals from the hospitals. The Biodex Balance System offers technology, along with associated printed reports documenting need, progress and outcomes. This increases clinical efficiency, productivity, and helps reduce the rate of readmissions – making you an attractive partner to ACO’s. Meeting multiple clinical needs with a single tool. There are certain tests and training protocols that are meant to be done on a STATIC (firm) platform, including Limits of Stability (LOS), Percent of Weight Bearing and the Clinical Test of Sensory Interaction in Balance (CTSIB). The CTSIB test was researched and presented by Shumway-Cook and Horak, originally published in the APTA Journal in 1986 titled Assessing the Influence of Sensory Interaction on Balance. It’s important to note that the CTSIB test calls for a static platform on which to achieve the test. 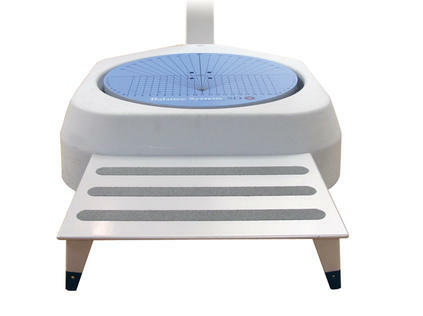 While a foam pad is introduced for certain conditions, the test cannot be performed accurately on a dynamic-only surface, as this would significantly stray from the protocol. Static and Dynamic (SD) – Offers 12 levels of platform control as well as static force setting. Balance Training – Includes proprioception, stabilization, range of motion and weight shift exercises. Fall Risk Screening Test – Using static force platform, objectively quantifies postural sway velocity to predict fall risk. Limits of Stability Test – Uses angle from center to determine sway capabilities as a percentage of the standard. Allows for completion of sway assessment without minimum threshold requirements. Bilateral Comparison Test – Measures and compares stability of one leg to the other using single-leg trials. Reports individual sway index and percent difference to assess deficit in orthopedic injuries. Interactive Games and Dual Tasking – Take balance training to a whole new level with gaming options that stimulate postural improvements. Software and Large Display – Intuitive navigation, 15.6" touchscreen display for improved user experience. Accommodates external keyboard and mouse. Microsoft SQL Database – Allows clinician to easily store and retrieve patient data, multiple tests per patient. Export to Excel® for reporting and analytics. Objective Documentation – Printed color reports prove need, track progress and document outcomes – ideal for insurance reimbursement. Custom Reporting – Allows entry of unique comments to test results and assignment of CPT codes. Sensory Integration Balance Testing Capabilities – Ability to perform a modified version of the Clinical Test of Sensory Integration of Balance (CTSIB), popular for concussion management. Customize existing CTSIB and BESS test parameters or create and save unique sensory integration protocols. Normative Data – Healthy populations stored for test comparison of older adults for fall screening and student athletes for concussion management. Audio/Visual Biofeedback – Motivates patient by prompting proper balance control in real-time. Allows clinician to easily monitor patient during interactive testing/training. Vibrotactile Feedback – Enhanced biofeedback for Biodex balance technology. Multipurpose Connectivity – Allows connection to larger monitors and projectors to enhance interaction for visually impaired patients. Adjustable Support Handles – Lock in place for safety or swing away for an unobstructed, open environment during a variety of training activities. Locking Surface – Helps ensure patient safety while moving on or off platform. Mobility – Transport wheels allow easy relocation between clinic and community for fall screening programs and health fairs. Prove Need. Progress. Outcome – All test results and training sessions can be stored and printed. Comparison to normative data helps communicate need, progress and outcome. Broaden Your Applications. Increase Your Clinical Value! The Balance System SD includes a comprehensive Fall Risk Screening & Conditioning Program and Protocol, consistent with American Geriatrics Guidelines. Identify a person at risk to fall in just two minutes by comparing their balance test results to age-dependent normative data. Includes a Marketing Support Program*. Tackling the needs of the older adult requires an understanding of the complex physiology of this population segment. As part of the Balance & Mobility product series, the Balance System SD addresses age related diseases by aiding in increasing mobility, addressing fall risk, improving balance, developing muscle tone and increasing agility. The training exercises of the Balance System SD are geared to improve strength, range of motion, gait and balance for those patients suffering from neurological involvement associated with Parkinson’s, Stroke or Peripheral Neuropathy. In practice, the Balance System can capture, quantify and document a patient’s relative tendency to overcompensate to one side or the other. This information can often determine a true course of treatment. The Balance System SD is an evaluation tool, as well as a rehabilitative device, ideal for patients experiencing vestibular issues. Balance retraining exercises are designed to steady a patient while walking or standing through improvements in coordination of muscle responses and organization of sensory information. Static and dynamic tests are administered to gauge a patient’s balance – objective reporting and comparisons to normative data aid in the development of individual exercise plans. The VibroTactile System provides patients with vibrotactile biofeedback resulting in improved postural control – eliminating the need for subjective verbal and hands-on therapist cueing. The Balance System SD is simple to use with an intuitive touch-screen display. Wellness members require minimal supervision and can progress through the various levels at their own pace. Training exercise includes static and dynamic balance activities, weight shifting, increasing limits of stability, and improving reaction time. The system produces color reports to provide motivating feedback. Help athletes perform better by demonstrating functional deficits. The Biodex Balance System documents weakness and challenges patients to improve. The various test modes evaluate the athlete in a static or dynamic environment, and then generates objective documentation of the results. Reports include standard deviations of target performance, the percentage of time an athlete stays in a particular quadrant and then compares performance to normative data, built into the system. This allows the objective measures of the athlete to be trained, and then easily reevaluated and assessed to quantify improvement. Biodex Balance Assessment is used for concussion management by high schools, college and professional sports teams to unravel the mystery of concussion and to bring together best practices combining cognitive testing and a graded symptoms checklist in combination with balance assessment. The Balance System SD is an objective Balance Assessment tool that provides a performance baseline against which post-injury performance can be compared. The CTSIB identifies and tracks disturbances in balances and the three associated sensory systems. All-In-One Flat Panel Display: 15.6" Color Touchscreen, Windows Operating System, Color Printer and Speakers. USB and Video/Audio Out: Bolsters connectivity options to other devices, enabling remote operation for data transfer and software upgrades. Display Height: Adjustable from 50" to 65" h above platform (127 x 165 cm); 73.5" h (187 cm) maximum from floor. Support Rails: Adjustable from 25" to 36.5" above platform (64 to 93 cm). Rails can swing away from platform when not in use. Add play to balance exercise with gaming options that stimulate and motivate postural improvements. Biodex gaming software includes single- and dual-tasking options, shown to improve gross motor function during balance training. Includes Printer, printer stand and CTSIB Indexed Pad. • FREE CERTIFICATION... Purchase a Biodex Balance System SD or portable BioSway and Biodex provides a registration for Concussion Health certification at no cost (a $350 value). Click here for more information. 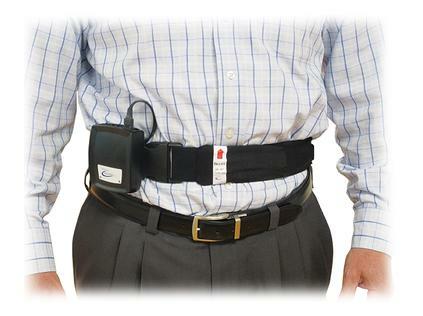 Includes transmitter, two tactile belts (S/M and L/XL), each with wireless receiver and connection cables. Display and Software upgrade available. Contact Biodex Customer Service for details. Leasing Options available for US customers.